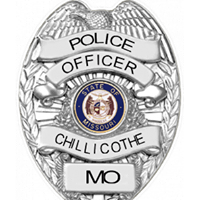 The Chillicothe Police Department responded to 92 calls for service Monday. 10:24 am, Officers responded to the parking lot of 1000 Graves St. on a report of someone being held against their will. Investigation was unable to verify truth of the matter and subjects involved were arrested for drug offenses and held at the Daviess/DeKalb County Regional Jail, pending filing of charges. During the afternoon, officers conducted further investigation involving the vehicle that was involved in previous arrest for drugs. 5:56 pm, Officers assisted a motorist in the 200 block of Mack St., unhooking a trailer from their vehicle. 7:34 pm, Officers received a cell phone recovered in the 1200 block of Alexander. The cell phone can be claimed at the PD. 7:53 pm, Officers responded to the 1400 block of Alexander in reference to possible child abuse. Investigation determined that the child abuse was merely a case of juvenile discipline.